This article is about the actress. For the actress, comedian, and writer of the same birth name, see Fannie Flagg. 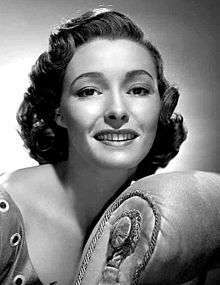 Patricia Neal (January 20, 1926 – August 8, 2010) was an American actress of stage and screen. She was best known for her film roles as World War II widow Helen Benson in The Day the Earth Stood Still (1951), wealthy matron Emily Eustace Failenson in Breakfast at Tiffany's (1961), and the worn-out housekeeper Alma Brown in Hud (1963), for which she won the Academy Award for Best Actress. She played Olivia Walton in the 1971 made-for-television film The Homecoming: A Christmas Story, a role played in the regular series by actress Michael Learned. Neal was born Patsy Louise Neal, in Packard, Whitley County, Kentucky, to William Burdette Neal (1895–1944) and Eura Mildred (née Petrey) Neal (1899–2003). She had two siblings. She grew up in Knoxville, Tennessee, where she attended Knoxville High School, and studied drama at Northwestern University. At Northwestern, she was crowned Syllabus Queen in a campus-wide beauty pageant. Neal gained her first job in New York as an understudy in the Broadway production of the John Van Druten play The Voice of the Turtle. Next she appeared in Lillian Hellman's Another Part of the Forest (1946), winning the 1947 Tony Award for Best Featured Actress in a Play, in the first presentation of the Tony awards. 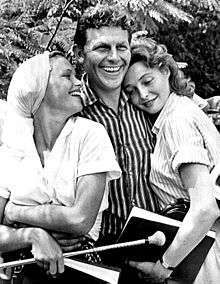 Neal made her film debut in John Loves Mary, followed by a role with Ronald Reagan in The Hasty Heart, and then The Fountainhead (all 1949). The shooting of the last film coincided with her affair with her married co-star, Gary Cooper, with whom she worked again in Bright Leaf (1950). Neal starred with John Garfield in The Breaking Point (1950), in The Day the Earth Stood Still (1951) with Michael Rennie and in Operation Pacific (also 1951) starring John Wayne. She suffered a nervous breakdown around this time, following the end of her relationship with Cooper, and left Hollywood for New York, returning to Broadway in 1952 for a revival of The Children's Hour. In 1955, she starred in Edith Sommer's A Roomful of Roses, staged by Guthrie McClintic. While in New York, Neal became a member of the Actors Studio. Based on connections with other members, she subsequently co-starred in the film A Face in the Crowd (1957, directed by Elia Kazan), the play The Miracle Worker (1959, directed by Arthur Penn), the film Breakfast at Tiffany's (1961, co-starring George Peppard), and the film Hud (1963), directed by Martin Ritt and starring Paul Newman. During the same period, she appeared on television in an episode of The Play of the Week (1960), featuring an Actors Studio-dominated cast in a double bill of plays by August Strindberg, and in a British production of Clifford Odets' Clash by Night (1959), which co-starred one of the first generation of Actors Studio members, Nehemiah Persoff. Neal won the Academy Award for Best Actress for her performance in Hud (1963), co-starring with Paul Newman. When the film was initially released it was predicted she would be a nominee in the supporting actress category, but when she began collecting awards, they were always for Best Actress, from the New York Film Critics, the National Board of Review and a BAFTA award from the British Academy of Film and Television Arts. Neal was reunited with John Wayne in Otto Preminger's In Harm's Way (1965), winning her second BAFTA Award. Her next film was The Subject Was Roses (1968), for which she was nominated for an Academy Award. She starred as Olivia Walton in the television movie The Homecoming: A Christmas Story (1971), which was a Hallmark television holiday special that inspired the long-running television series The Waltons; she won a Golden Globe for her performance. In a 1999 interview with the Archive of American Television, Waltons creator Earl Hamner said he and producers were unsure if Neal's health would allow her to commit to the grind of the weekly television series, so they cast Michael Learned in the role. Neal played a dying widowed mother trying to find a home for her three children in a 1975 episode of NBC's Little House on the Prairie. She was a subject of the British television show This Is Your Life in 1978 when she was surprised by Eamonn Andrews at a cocktail party on London's Park Lane. Neal played the title role in Robert Altman's movie Cookie's Fortune (1999). In 2003, Neal was inducted into the American Theatre Hall of Fame. Having won a Tony Award in their inaugural year (1947) and eventually becoming the last surviving winner from that first ceremony, Neal often appeared as a presenter in later years. Her original Tony was lost, so she was given a surprise replacement by Bill Irwin when they were about to present the 2006 Tony Award for Best Performance by a Leading Actress in a Play to Cynthia Nixon. In April 2009, Neal received a lifetime achievement award from WorldFest Houston on the occasion of the debut of her film, Flying By. Neal was a long-term actress with Philip Langner's Theatre at Sea/Sail With the Stars productions with the Theatre Guild. In her final years she appeared in a number of health-care videos. During the filming of The Fountainhead (1949), Neal began an affair with her married co-star, Gary Cooper, whom she had met in 1947 when she was 21 and he was 46. At one point in their relationship, Cooper slapped Neal in the face after he caught Kirk Douglas trying to seduce her. A few months later, Neal hoped that tempers would cool while she went to London, England, to film The Hasty Heart, starring Ronald Reagan. Reagan was unhappy over his breakup with Jane Wyman, adding to what would be a depressing shoot for Neal. 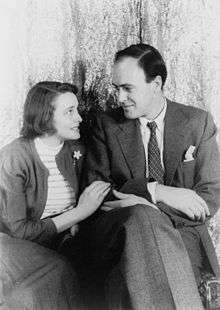 Neal met British writer Roald Dahl at a dinner party hosted by Lillian Hellman in 1951. They married on July 2, 1953, at Trinity Church in New York. The marriage produced five children: Olivia Twenty (April 20, 1955 – November 17, 1962); Chantal Sophia "Tessa" (b. 1957); Theo Matthew (b. 1960); Ophelia Magdalena (b. 1964); and Lucy Neal (b. 1965). Her granddaughter is author, television presenter and model Sophie Dahl. In the early 1960s, the couple suffered through grievous injury to one child and the death of another. On December 5, 1960, their son Theo, four months old, suffered brain damage when his baby carriage was struck by a taxicab in New York City. In May 1961, the family returned to Gipsy House in Great Missenden, Buckinghamshire, where Theo continued his rehabilitation. Neal would later describe the two years of family life during Theo's recovery as one of the most beautiful periods of her life. However, on November 17, 1962, their daughter, Olivia, died at age 7 from measles encephalitis. While pregnant in 1965, Neal suffered three burst cerebral aneurysms, and was in a coma for three weeks. One newspaper even ran an obituary but she pulled through with the assistance of Dahl, and a number of volunteers, who developed a gruelling style of therapy that fundamentally changed the way stroke patients were treated. She subsequently relearned to walk and talk ("I think I'm just stubborn, that's all") and on August 4, 1965, she gave birth to a healthy daughter, Lucy. By 1968 her recovery was so apparently complete that her performance in The Subject Was Roses led to an Oscar nomination the following year. Neal's and Dahl's marriage ended in divorce in 1983. In 1981, Glenda Jackson played her in a television movie, The Patricia Neal Story which co-starred Dirk Bogarde as Neal's husband Dahl. Neal's autobiography, As I Am, was published in 1988. In later years, Neal became a Catholic. In 1978, Fort Sanders Regional Medical Center in Knoxville dedicated the Patricia Neal Rehabilitation Center in her honor. The center provides intense treatment for stroke, spinal cord, and brain injury patients. It serves as part of Neal's advocacy for paralysis victims. She regularly visited the center in Knoxville, providing encouragement to its patients and staff. Neal appeared as the center's spokeswoman in advertisements until her death. Neal died at her home in Edgartown, Martha's Vineyard, Massachusetts, on August 8, 2010, from lung cancer. She was 84 years old. She had converted to Catholicism four months before her death and was buried in the Abbey of Regina Laudis in Bethlehem, Connecticut, where the actress Dolores Hart, her friend since the early 1960s, had become a nun and ultimately prioress. Neal had been a longtime supporter of the abbey's open-air theatre and arts program. Encyclopedia of Kentucky. New York, New York: Somerset Publishers. 1987. pp. 182–183. ISBN 0-403-09981-1. Neal, Patricia (1988). As I Am: An Autobiography. New York, New York: Simon & Schuster. ISBN 0-671-62501-2. 1 2 3 Aston-Wash, Barbara; Pickle, Betsy (August 8, 2010). "Knoxville friends mourn loss of iconic actress Patricia Neal". Knoxnews.com. Retrieved August 8, 2010. ↑ Pylant, James (2010). "Patricia Neal's Deep Roots in the Bluegrass State". GenealogyMagazine.com. Retrieved September 1, 2010. ↑ ""Play of the Week" Strindberg on Love (TV Episode 1960)". IMDb. February 25, 1960. ↑ Tom Goldie: "Tom Goldie's Telenews: Steel on Your Screen," The Times (Tuesday, July 7, 1959), p. 8. "Producer John Jacobs had a hard time filling the role of the husband. He wanted Ernest Borgnine, or Karl Malden, or Anthony Quinn, but none of them was available. Then he saw Persoff playing a featured role in the film, Al Capone, and promptly invited him to come over from America specially for Clash by Night. ↑ Bernstein, Adam (August 10, 2010). "Patricia Neal dies: Oscar winning star of 'Hud' was 84". The Washington Post. Retrieved July 20, 2014. ↑ Wendy Smith. "Patricia Neal: An Unquiet Life". Variety. 1 2 3 "Roald Dahl on the death of his daughter" (3 February 2015). The Telegraph. ↑ "Big Sometimes Friendly Giant". NYMag.com. Retrieved 2016-09-22. ↑ "Celebrity Corner". Knight-Ridder. October 24, 1983. Retrieved April 12, 2009. ↑ Me and Miss Neal, The Globe and Mail, August 13, 2010. ↑ "Patricia Louise Neal (1926–2010) – Find A Grave Memorial". 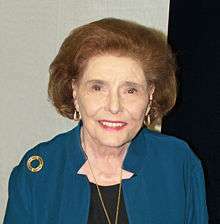 In February 2011, the VOA Special English service of the Voice of America broadcast a biography of Patricia Neal: Actress Had Great Success and Personal Tragedy, voanews.com; accessed March 29, 2015.